The employees of the FallRiver Public Works department are dedicated to providing safe and efficient services to village residents. Public works employees maintain our streets and parks, provide leaf, grass and brush collection and operate and maintain the Lazy Lake Dam. 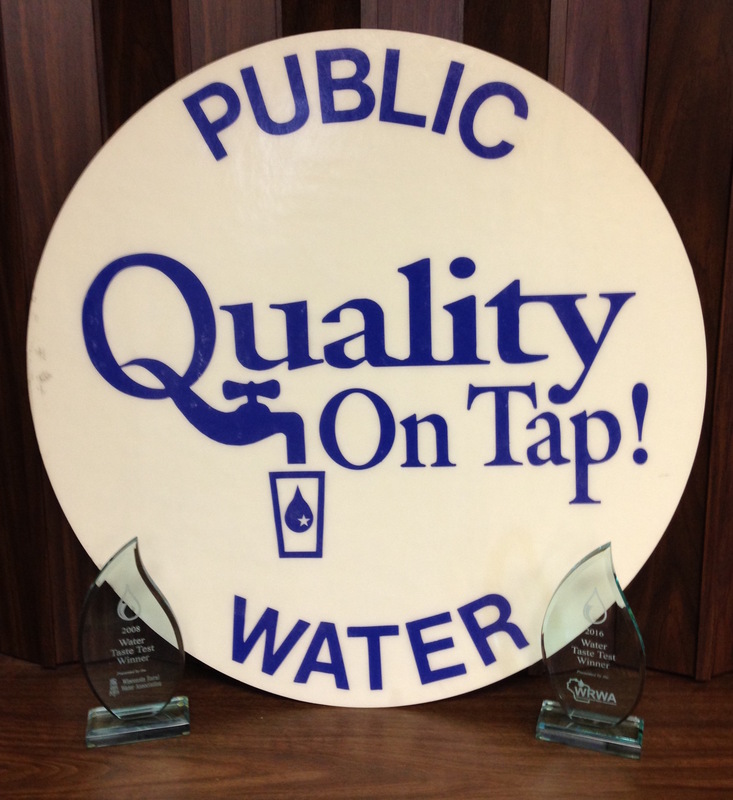 In addition, the Public Works crew operates and maintains the Village's water and wastewater utilities. It is a top priority of the Fall River Public Works Department to keep Village streets safe for travel throughout the winter months. Residents can help make plowing and salting operations more efficient and effective by following the Village winter parking regulations and, whenever possible, avoiding parking on Village streets anytime during inclement weather. In addition, snow from a driveway or sidewalk may not be deposited on the street. If you encounter an unsafe situation on Village streets, please contact the Fall River Public Works Department. It is also greatly appreciated if residents would clear snow from fire hydrants on or near their property. The Fall River Sewer Utility Needs Your Help !!! The Fall River Sewer Utility has experienced an increase in wastewater pumping station malfunctions due to “disposable” cleaning items and wipes entering the wastewater stream. Many cleaning products labeled “disposable” or even “flushable” can cause problems for homeowners and the Village. Disinfecting wipes, Swiffer mop refills, baby wipes, and other products madefrom similar materials should be disposed of in the trash- never flushed down a toilet. 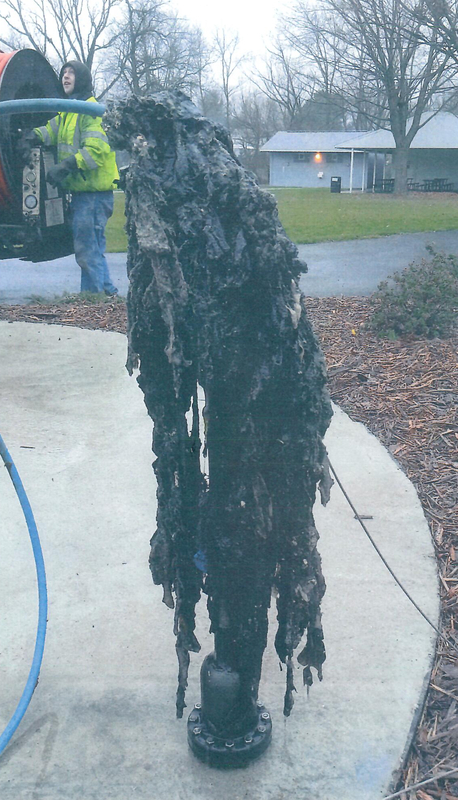 These itemsdo not dissolve or break down after being flushed and can clog household sewer pipes, resulting in an expensive and messy repair and clean-up for a property owner. If these items find their way into the Village’s sewer system, they can clog pipes and pumps in the Village’s sewer pumping stations. This leads to expensive repairs and potential interruptions in sewer service. Please help ensure the reliable and efficient operation of the Village’s wastewater system by disposing of these products properly: in the trash. DPW employees will pick up brush and grass clippings curbside as our schedule allows. An effort is made to have everything cleaned up by the end of each week. Collections typically take place from April through November. Only clean brush and compostable lawn and garden material will be picked up. We can not accept landscape timbers, mulch, stones, fabric, logs or limbs in excess of 8” in diameter, stumps, dirt, construction waste, etc. All material must be able to be reasonably loaded into a pickup by one person. Brush should be cut to a maximum of 6 feet in length and left in bundles manageable by one person. Leaves, grass clippings, and other lawn & garden material should be put in bags that one person can lift. Biodegradable or paper bags are strongly encouraged. Items that are excessively heavy or cumbersome will not be picked up. If you would like to haul your own material to the collection site, you may make arrangements by contacting the Village Hall during regular business hours. Again, only clean brush and compostable lawn and garden material can be accepted. The collection site is intended for use by Fall River residents only, and anyone hauling there may be asked to provide proof of residency to Village employees. Following the closing of the Village's wastewater treatment lagoons in 2012, Village officials worked with representatives of the DNR to turn the property into a wildlife area with a walking trail open to the public. The transformation of this area from wastewater treatment to wildlife habitat is featured in the August 2015 edition of Wisconsin Natural Resources Magazine. The article can be viewed on the magazine's website. Wisconsin Department of Natural Resources (DNR) regulation requires that municipal water systems implement a comprehensive cross connection control program. The purpose of a cross connection control program is to ensure the safety of the drinking water supply by eliminating the potential for contaminants to enter the public water system due to improper plumbing connections.The requirements for cross connection control and prevention are spelled out in Wisconsin DNR regulation NR810.15, Wisconsin Administrative Codes SPS381, SPS382 and SPS384 as well as Village Ordinance Sec 9-1-52. Failure to comply with these regulations may result in the Village being subject to DNR enforcement that could include referral to the Wisconsin Department of Justice and potential monetary penalties. The Village of Fall River Water Utility, in accordance with these DNR requirements has implemented a Cross Connection Control Program. The Village has contracted with General Engineering Company from Portage to implement the inspection program. Each year, a portion of the residential, commercial, and industrial sites within the Village must be inspected for potential cross connections. If you have been selected for inspection, you will receive a letter from General Engineering outlining when inspections will take place and what you should do to arrange for an inspection of your property. There is no charge for the cross connection inspection. However, each property owner is responsible for correcting any non-compliance issues. Please review the brochure and other information, including frequently asked questions, provided by General Engineering. If your property is chosen for inspection, this information can help you prepare for the inspector’s visit and increase your chances of compliance on the first visit. Even if you are not selected for inspection at this time, this information may help you recognize some basic cross connection concerns and address them as needed. It is essential that selected property owners participate in the inspection and compliance process. Failure to do so could result in water service to the property being disconnected. Your cooperation is necessary to protect the drinking water for all Village residents. 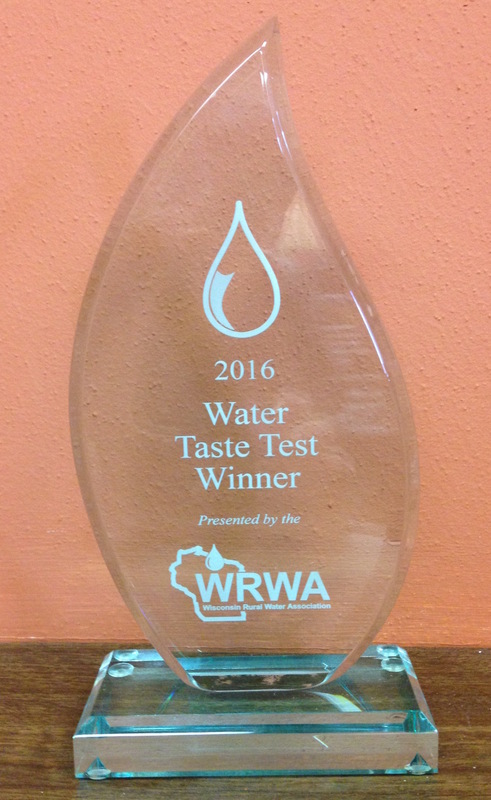 For a copy of the 2016 Consumer Confidence Water Quality Report, please click here. For a copy of the 2015 Consumer Confidence Water Quality Report, please click here. The Village contracts with Advanced Disposal for automated curbside trash and recycling collection. Trash is collected every week and recyclables are collected every other week. All residents should use the carts provided for garbage and recycling- items not contained in the carts will not be picked up without making special arrangements with Advanced Disposal. Collection day in the Village is Thursday. If a holiday falls on a Thursday or any day earlier in the week, collection day will be Friday. Carts should be out by 7am on collection day. Click here for more information on the use of carts. More information may also be found by viewing the Advanced Disposal brochure or by visiting advanceddisposal.com. The Vita Plus Drive recycling center has been closed due to excessive trash and other non-recyclable material being dumped at the site. Columbia County accepts recyclables as well as a variety of other materials at its location at W7465 Hwy. 16. For more information on accepted items and disposal fees contact the Columbia County Recycling and Waste Processing Facility at (608) 742-6651, view their website, or download their informational brochure. The Village of Fall River Water Utility, in accordance with DNR requirements has implemented a Cross Connection Control Program. The Village has contracted with General Engineering Company from Portage to implement the inspection program. Each year, a portion of the residential, commercial, and industrial sites within the Village must be inspected for potential cross connections. If you have been selected for inspection, you will receive a letter from General Engineering outlining when inspections will take place and what you should do to arrange for an inspection of your property. There is no charge for the cross connection inspection. However, each property owner is responsible for correcting any non-compliance issues. Please review the brochure and other information, including frequently asked questions, provided by General Engineering or the brochure provided by the Wisconsin Rural Water Association. If your property is chosen for inspection, this information can help you prepare for the inspector’s visit and increase your chances of compliance on the first visit. Even if you are not selected for inspection at this time, this information may help you recognize some basic cross connection concerns and address them as needed. Fall River residents are billed monthly for water, sewer, and garbage collection services. Click to view the PSC Rate File for the Village's last rate adjustment effective September 1, 2015.